Almost one in three children leaving primary schools are now classed as overweight, which is a really scary number, and rugby is a really great sport as it’s suited to lots of different body shapes. Delivered nationally by Leicester Tigers and the Premiership Rugby clubs in primary schools which Greggs Foundation already has a relationship with through its Breakfast Club Programme, the Tackling Health programme is an interactive project for children aged seven to eight which takes a holistic approach to teaching children about their own health, wellbeing and about leading a healthy lifestyle with a rugby focus. 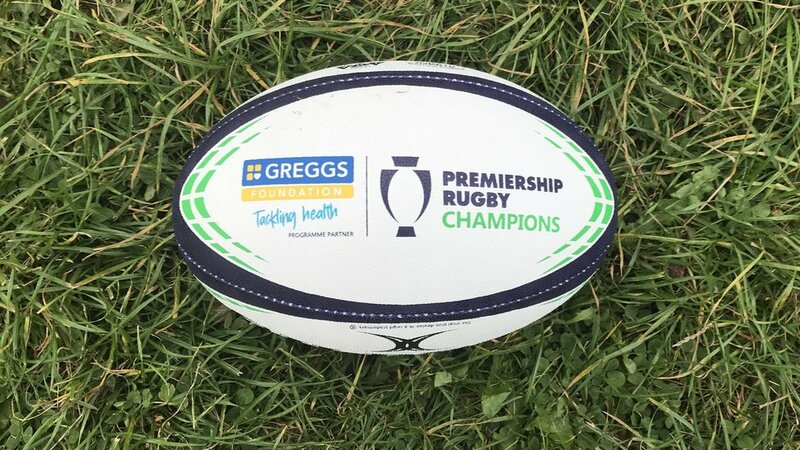 Premiership Rugby has joined forces with Greggs Foundation to help improve physical activity and physical literacy among key stage two children across the country. As a sport, rugby can offer playing opportunities and role models to children no matter what their ability or background and the interactive Tackling Health programme takes a rounded approach to teaching children about leading a healthy lifestyle. The key aims of the project, which is also supported by Public Health England, are to improve young people’s understanding of what constitutes healthy eating and a healthy diet and to increase levels of physical activity. Current childhood obesity rates state that one in three children are obese or overweight by the time they leave primary school. Children growing up in low income households are more than twice as likely to be obese than those in high income households. Tackling Health is a fantastic example of how collaborative action can inspire organisations to achieve and sustain positive long-lasting impact. For more information and to download key Tackling Health resources visit premiershiprugby.com/tacklinghealth and for more information on the Greggs Foundation please visit greggsfoundation.org.uk. You can also contact Laurence Walters at [email protected] to find out more about Tackling Health.